Ahoy chum! Hop on board the toe of time for another cosmic dip in the ocean of temporal fun! Episode 4 follows Simon on his perilous, multi-lifetime quest for baked goods of regal importance, does he ever succeed and at what cost? We also learn what life is like at various points in the seminal career of Tom the artist. This episode features a parody of The Streets all about getting indigestion from bad chips and needing some Rennie. It's veh funneh you'll like it. MERRY JINGLES TO YOU ALL! 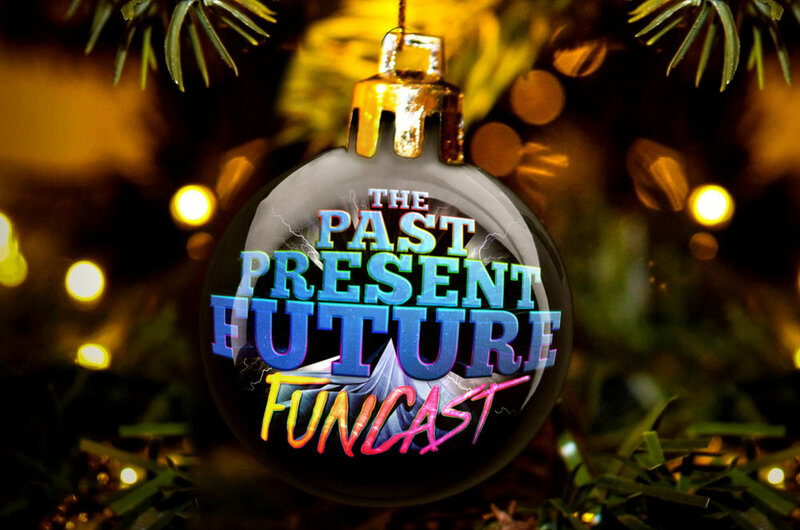 I'm very Happy Christmas to share with you EPISODE 3 of the PAST PRESENT FUTURE FUNCAST! It is the festive edition! We talk to young Tom about his forbidden festive feelings; Dickensian Christmas Simon gets a big old turkey from an unsavoury gentleman, and we learn what far-future Christmas is like for Nebula Tom and Simon. Have a simply-having-a-wonderful-chrimbus-time time, friends!